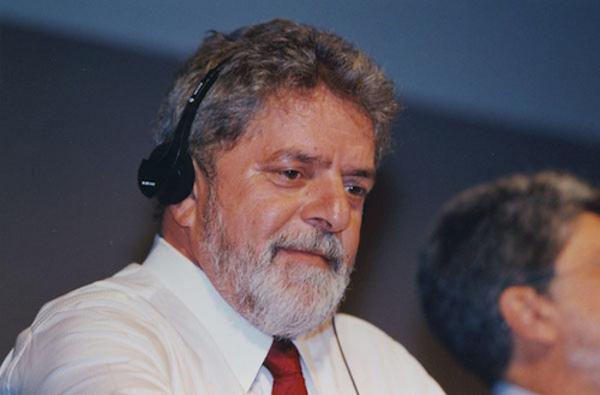 Former Brazilian leader Luiz Inacio Lula da Silva, who rose from childhood poverty to become a two-term president, was convicted on corruption charges on Wednesday in the first of five graft trials he faces. He was sentenced to nine and a half years in prison. He will remain free on appeal. The ruling marked a stunning fall for Lula, Brazil’s first working-class president who left office six years ago with an 83-percent approval rating. The former union leader won global admiration for transformative social policies that helped reduce stinging inequality in Latin America’s biggest country. The verdict represented the highest-profile conviction yet in the sweeping corruption investigation that for over three years has rattled Brazil, revealing a sprawling system of graft at top levels of business and government and throwing the country’s political system into disarray. Lula’s legal team has previously said they would appeal any guilty ruling. They have continuously blasted the trial as a partisan witchhunt, accusing Moro of being biased and out to get Lula for political reasons. The Brazilian real extended gains following Moro’s decision and reached its strongest in two months. The benchmark Bovespa stock index rose to a session high. With Lula’s swagger setting the tone, Brazil sought to shrug off northern economic and political hegemony and engage in global problems, like Middle East peace and the standoff over Iran’s nuclear program.